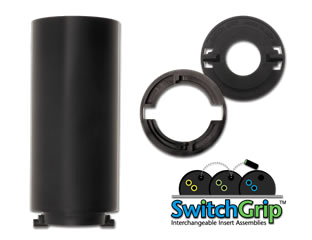 Turbo Switch Grip Interchangeable Thumb Systems. Get the same great feel in every ball you own with Turbo Switch Grip Interchangeable Thumb Inserts. This revolutionary two-piece insert assembly allows bowlers to remove and interchange thumb inserts from one ball to another for the same fit and feel every shot. No more fussing and fighting installing and removing tape. With just a simple “Twist & Click”, bowlers can make a ball change using the same thumb or better yet change thumb size due to shrinking or swelling. Bowl with confidence. Switch Grip™ will help you repeat shots no matter what ball you use. The Vise IT is another great Interchangeable Thumb system available to bowlers to allow the same great feel in every ball you throw. Chris Barnes uses the Vise IT: “The VISE Interchangeable Thumb allows me to have the same feel in every bowling ball I own. I can bowl with confidence, plus I can quickly move it to another ball without any tools. I am using “it”, you should too”. “Vacu – Feel” Finger Insert installation. Do your fingers constantly swell or shrink? Are you in between finger insert sizes or just can’t get that perfect feel? 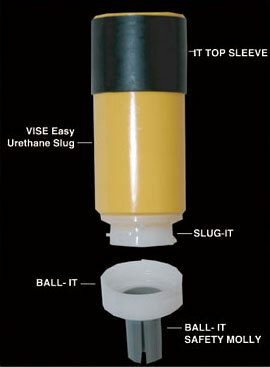 You may want to try getting your inserts installed with our vacu-feel installation. This finger grip installation process allows the finger inserts to expand in the ball allowing your fingers more room for changes in size due to swelling or shrinking.